It's always fascinating to see what "half done" looks like for other people. Thank you for the interesting snapshot of your creative process. Okay, while I am still working on crunch, I have a draft version of background and complications for Robin/ Grace. Background is currently in bullet points- let me know if it needs to be expanded (there is only so much Wall-of-Text I want to put up, since we don't have spoiler blocks), or if anything needs to be changed. It should be flexible enough to cover either version of the build. I'll try to finalize the mechanical part of my builds tonight. Compulsive Kiai - Yumiko has a compulsive need to 'kiai' (basically shout "hah!" or something along those lines) when attacking. She must actively attempt to resist this compulsion if she so desires, requiring a will saving throw set by the GM. This can be problematic in stealth operations, or when Yumiko is trying to avoid being located for any reason during a fight. Responsibility - Because she has the tools and abilities to combat injustice, Yumiko feels as though she must do so regardless of where and when. Presumptuous - Yumiko grew up in a household in which her abilities were the norm, causing her to expect feats at least on that level from everyone around her. This can cause problems because she has little understanding of the true capabilities of the general public. Innocent Abroad - Yumiko, unless otherwise advised, always assumes people are telling the truth. If she discovers that someone has lied to her, she assumes they always lie to her, unless otherwise advised. Language Barrier - Despite being conversational in English, Yumiko does not understand it well enough to be truly fluent. Yumiko grew up in Japan, in the Kumagawa household. The Kumagawa clan were extremely reclusive, believing that due to their unnatural abilities they should keep to themselves at all costs - to avoid persecution or attempts to steal from them/force them into action against their will. As such, Yumiko had very little interaction with the world at large, though she did receive a fair schooling from her father, Kojiro. At around the age of 6 she began training in the family's unique style of sword-based martial arts, similar to Iaido. She was talented from a young age, and in fact, by the age of 10 she had surpassed all but her own father in skill alone. Once she had mastered the art itself, her father began teaching her the true secrets of their clan, the secret of unifying body and mind. As opposed to simple meditation, however, this was taken to a rather staggering extreme by the Kumagawa clan, as they unlocked several unnatural powers as a result of this training. Their bodies could move as their minds could, though not literally, allowing them to move at incredible speeds. The ability to sustain their bodies became little more than a thought, removing the need for food, drink, or even a decent atmosphere. They were able to become as light as an idea, allowing themselves to walk on walls and water. Needless to say, it was an impressive set of skills for any decade-old child to begin learning. Over time, Yumiko continued to grow in ability, both in her martial art and in the secrets of her clan. Though to this day her father remains vastly her superior, she has grown quite talented. Talented enough, in fact, to be the next leader of the clan itself. Unfortunately, the clan still held some fairly outdated viewpoints and, despite being willing to train her thusfar, they were unwilling to accept a woman as their leader in the event of her father's death. Unwilling to accept this injustice, but also unwilling to hurt any member of her family, she stole the family's heirloom sword and ran away, choosing to run as far as she could, even across the Pacific ocean and into America. When she finally stopped running, she found herself smack-dab in the middle of an imperialist regime under a 'super man'. She arrived in America at the age of 14, and since then has spent her time combatting injustice wherever she could find it - within reason of course - believing that if she is not to lead her clan, then she must at least find a good use for her abilities. On the side, she works towards understanding American culture and its language, and even has a few hobbies like gymnastics and taking part in martial arts tournaments. She even occasionally volunteers to teach martial arts to people, though she has no real skill when it comes to actually educating others. Last edited by TacticalMammoth on Sun Jun 10, 2018 5:29 am, edited 5 times in total. Hope the above is all well and good! Haha. I have so many excellent options. I have no idea how I'm gonna narrow it down to 4-6 players. One suggestion I'd like to make with the most amount of respect for Endwaar's vision of the setting ... the idea of naming a team Absolute ... anything after the Regime's fall from power seems more than a little inappropriate, it sounds like an authoritarian team name, not heroes trying to re-establish hope and good will with the public. The team's name is up for the team members to decide. The reason I called the thread as I did was for the ending of Injustice 2 - Batman's is Absolute Justice, Superman's is Absolute Power. The default name of the team will be Young Justice, but that's just me being nostalgic for the 90s version of the team. It's been a while since I played the game. That makes more sense now ... thanks! Your name is awesome. And your character has a certain Katana (the character, not an actual katana sword) feel to it. The above feels far more like it should be a device rather than standard equipment, however, my advice would be to purchase Enhanced Extra; Multi Attack & penetrating, 5 Ranks of each, apply Variable Descriptor to it [Any weapon wielded] and make that an AE of your Battle perception. Though you'd still need to cost out an Indestructible device. Regular equipment, by definition can't be indestructible. Gadget Guide: Archaic Weapons actually does implicitly permit it by listing it in with a bunch of other extras, though I feel it's stupid. Was right about to say this. It's the only way I could afford to build the character appropriately, and I'm already sacrificing on many other fronts, but it's GM's decision in the end. Fair, but there's no way Multiattack & Penetrating swords are regular equipment. Build the Multiattack & Penetrating into an array & you can do it while actually gaining a PP, you just couldn't analyze and attack without switching the array, but seeing as they are both standard actions that won't hinder the concept. Again just a suggestion, as it stands right now Quentin could pick up the sword and get the Multiattack benefit, if built as above that becomes the skill of the user. - You could save a bundle of points by making Speed of Thought a dynamic array. How often are you going to need to run at supersonic speeds AND solve a dozen sudoku puzzles in less than fifteen seconds AND beat Batman to the draw all at the same time? - Replacing some of your Close Attack with Close Combat: Sword would save some points and add a bit of flavor. Not sure if you want to be less-good unarmed though. - You're paying 4 PP for that DEX 2 and all it's giving you is 1 PP worth of Sleight of Hand bonus. - If you move the Multiattack and Penetrating off the sword and onto some sort of "Superspeed Swordfighting" power you could AE it off Battle Analysis. That'd drop the sword itself to 3 PP as an Easily Removed power. Psych evaluation for Inquisitor, Victoria Riese. Today's test will involve analyzing the reactions to various individuals who may become the subject's teammates, though the subject has not been informed of this and has simply been asked to give her impression of the individuals she is presented with and basic information about them. Arsenal - He's got that "bad boy" vibe going for him and he's like a McGuyver of beating people up with whatever is lying around. That anti-drug crusader thing could be a point of contention given my medication and use of 5-U-93-R, but considering my situation, he might be willing to give me a pass on it. Lena Luthor - She's a rich girl who bought herself a battlesuit. Can't say I know much about the Luthors since I have been in a box for the last 5 years and was just a kid before that, but from what I hear in the news and stuff, Lex was a bit of a mixed bag. Doesn't necessarily mean anything for Lena, but it also might mean everything. Whatever way you slice it, she seems like a very focused woman that would cut her own right hand off if she thought it was conspiring against her. Unit XIII - Seriously? It's a big robot bristling with weapons. I mean, come on, I don't know anything about robots and stuff so I can't even say if it's impressive compared to... well, any other walking weapons platform. Just seems like whoever built it had some issues to work out, and wasn't really sure what this thing was supposed to be for. I'd expect to see it on a warfront, not protecting a city, you know? Collateral damage and all that. Psion - This guy might just be the framework that resulted in me being locked in a box and poked and prodded for nearly 6 f***ing years! I mean...okay, yeah, probably not directly his fault, but he was at least the muse that inspired the idea. Hard to be mad at him though...he's one of the only people who even understands what having powers like this is like. Not a lot of psychics in the world on this level, you know? Green Lantern - I'm from Coast City, so I know who Green Lantern is, or, was I guess. Always looked up to them and wished maybe I could be a Green Lantern one day with one of those rings. Funny how things turn out. Anyways, Janet seems nice, and anyone who warrants wearing that fancy green ring is alright in my books. Prestige - He lost his parents too, taken away by the Regime for speaking against something that wasn't right. I think we could be friends. And he looks se-..snappy(!) in that tux..... ..... .....um, what? Sorry? What was I saying? Oh right, magic, useful. Peter Price - Sorry, it's hard to look at this guy and not see "Superman wannabe". Super strength, flight, nigh indestructible. I mean, he seems nice enough, if a bit immature but it just.... pushes buttons with me I guess. I lost my parents, my home and six years of my life thanks to Superman and his stupid Regime, which if I understand correctly, this guy's the replacement for someone who was part of the Regime. 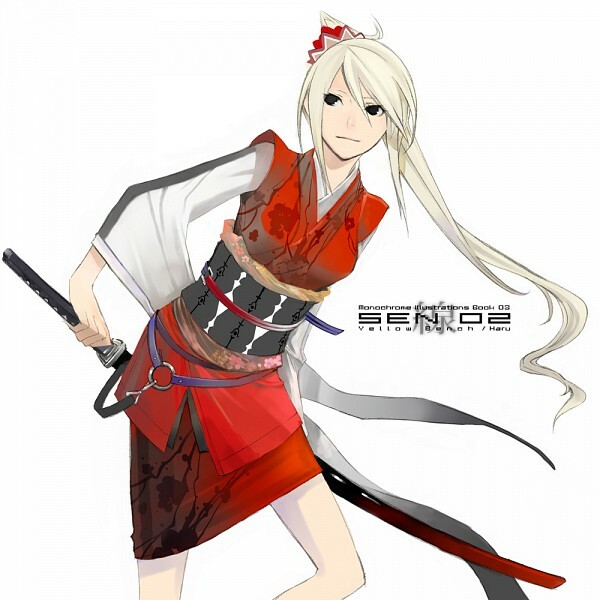 Sonic Samurai - She's a bit like Arsenal, but with a sword, and the next best thing to ninja powers. She's not the easiest to understand, but she seems pretty dedicated to fighting injustice wherever she finds it, whether she ends up on a team or not. Scylla the Nereid - That is a LOT of nope in a bag that that is nowhere near big enough. You want people thinking we're the good guys and are considering letting loose a monster like that in the city? I mean, I'll work with it if I have to, but this might be worse than the walking weapons platform. Bigger too. Night Sword - This guy has watched Zorro a few too many dozen times. Though, to be fair, he does the legend justice, and somehow actually manages to pull that look off. Besides that though, guy reeks of a pompous rich kid and something about him rubs me wrong, but I can't quite place my finger on it. I wish I could...so I could take a peek around his mind and try to figure out what it is. Quantum - Wait, so these two siblings fuse into a single superhero? That's gotta feel kind of awkward. I sympathise with the loss of their parents in the nuke. I know the story behind that, that it was the Joker's fault, though that was also kind of what started the Regime too, right? That aside, they seem cool, practically normal, but I wouldn't wanna piss either of them off. Sounds like they are packing a lot of potentially devastating power. And that from someone who can punch a hole through a wall without any particular effort. Grace - This girl has got a serious thing for the Batman, but that guy seems to attract certain types, and all of them are potent at what they do. Even using 5-U-93-R I wouldn't want to tussle with this girl. And like all of the Bat-family tree, she's clearly wrapped in all kinds of secrets. Hard to trust someone like that, but at the same time, Batman has always been about the justice, so it's easy to tell where he sits, and he doesn't just let anyone into his exclusive family club thing, so secrets or not, I'm sure I could at least trust her at my back in a fight. Blue Beetle - Talk about having everything handed to you. Another rich kid, and this one didn't even work for what he's got. Just buddied up with the right person and got handed superpowers. I mean, he seems nice enough, apparent quirk of talking to himself aside, but I don't know if he really has what it takes. Or maybe he has exactly what we need. Who knows? Last edited by EpicEclipse on Sun Jun 10, 2018 12:14 am, edited 6 times in total.